Wreaths are a popular decorative item over the holidays and they will always be well-received. 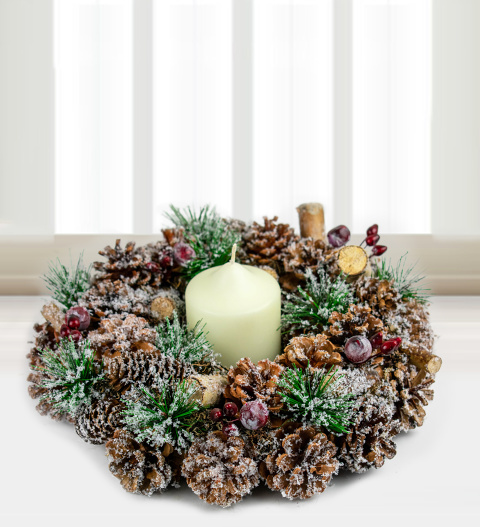 Whether ordering for yourself or a loved one, this wreath and candle gift will suit any home. Spoil yourself or send this Christmas gift to share that holiday cheer.